In our day-to-day communication, we talk about the weather to break the ice. This implies that talking about weather is a great communication starter. But it is important to know a range of expressive vocabularies that can be used to make a discussion more colorful. 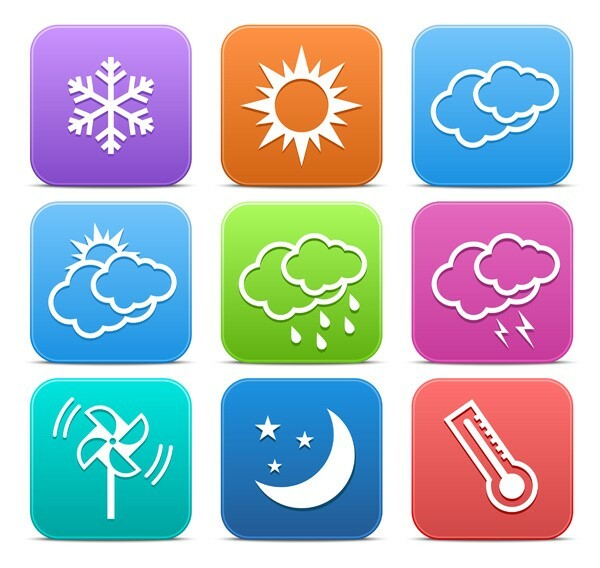 How to talk about different weather conditions? E.g.Last year, summer was really very scorching for Mumbai. Citizens of UAE always face the problem of searing. 1.2 Sweltering: excessive heat and humid weather; results into a sweating and faintness. E.g. After coming outside for just 10 minutes, we all were sweltering like anything. E.g. While trekking on Harishchandra Fort, we all were roasting. E.g. While travelling in Rajasthan for summer vacation, many people suffer from the problem of sunburn. E.g. To avoid the problem of sun stroke, one must include glucose intake and juices in a regular summer diet. E.g. Many people die in extreme summer due to heat wave. E.g. As soon as I left from home, the weather became gloomy and it was bucketing down. E.g. I was unable to go for the event, as it was raining cats and dogs yesterday evening. E.g. The tourists became the victim of torrential rain on yesterday. E.g. Many people like to get damp in the first rain. E.g. Even though we carried 2 umbrellas, we both got soaked in the heavy rain. E.g. Downpour creates a problem for drivers while driving. E.g. Employees on-field jobs face many problems due to scattered showers. E.g. Drizzling rain is good for cropping phase of farming. E.g. Tourist in Jammu Kashmir became snowbound last winter. E.g. Many children suffer a problem due to wind chill. E.g. It was a sleeting Sunday in London. 3.4 Slush: partially melted snow or ice. E.g. The snow was slowly turning into a slush during the day. E.g. Last year, in the month of December there was an unexpected cold snap. E.g. In winter season, some animals hibernate. Hope the above explanation has provided you with a good set of vocabulary to explain weather situations during an informal talk. You can read our other related blogs and articles by browsing through various subject categories which will be helpful in becoming a good English communicator. eAgeTutor.com is the premier online tutoring provider. eAge's world-class faculty and ace communication experts from around the globe help you to improve English in an all-round manner. Assignments and tasks based on a well-researched content developed by subject matter and industry experts can certainly fetch the most desired results for improving spoken English skills. Overcoming limitations is just a click of mouse away in this age of effective and advance communication technology. For further information on online English speaking course or to experience the wonders of virtual classroom fix a demonstration session with our tutor. 1. What are Some Etiquettes Used While Eating? 2. How to Express Effectively? 3. How to Speak Clearly and Fluently?